I’ve previously blogged about how we’ve been experimenting with real-time data to create dashboards and custom automated email alerts. 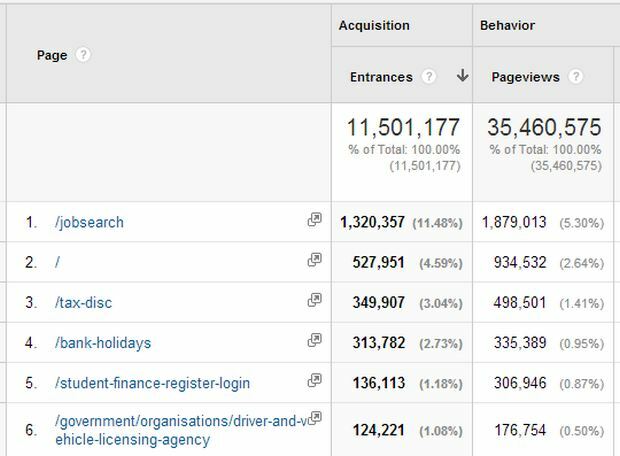 In this post I want to share how we’ve been ‘hacking’ Google Analytics to gain useful insights into what our users are currently searching for on GOV.UK. 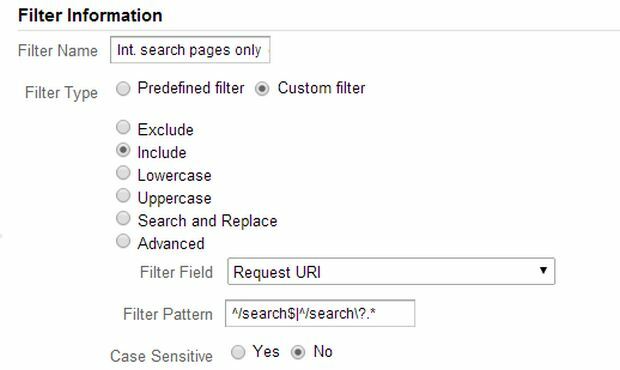 On average, more than 100,000 internal searches are made daily on GOV.UK using more than 30,000 different terms. 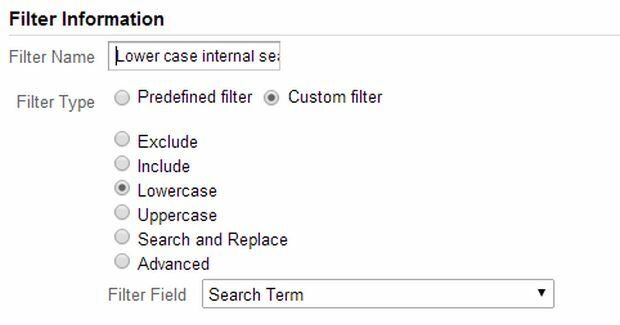 Internal search terms are a useful way of listening to what our users want, in their own words. Such a vast amount of data makes it quite challenging to identify discerning trends, but grouping search terms under relevant topics can give us clues on what is currently of interest to our users. 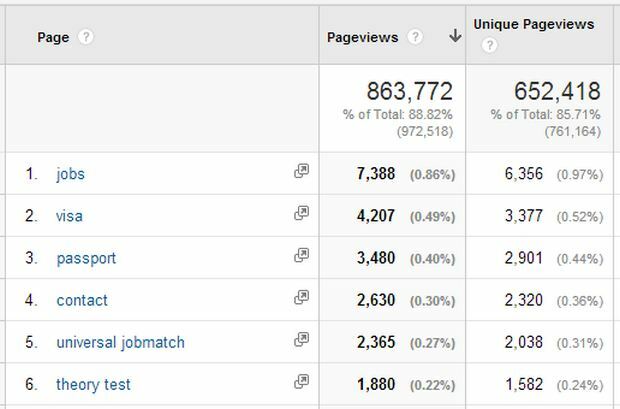 The challenge is compounded by the fact that Google Analytics by default does not show real-time internal search terms. 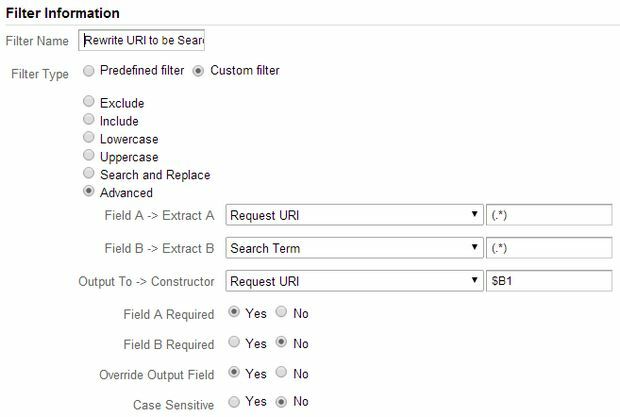 However, we’ve found a way around this by using an Advanced filter to get Google Analytics to alias search terms as if they were page URLs. Note that we stripped query parameters out of URLs when we created the View. We next created a filter to lower-case all search terms, so for example ‘tax credit’ and ‘Tax credit’ would both be aggregated together as ‘tax credit’ as they are essentially the same thing. This transformation now allows us to make use of the built-in real-time reports using the Page dimension to represent the search terms. This may be adequate for smaller scale sites but for GOV.UK we wanted to drill further and show terms by topics we were interested in, such as driving and theory tests. This now results in a powerful real-time dashboard showing the current numbers of users searching for a particular topic and the terms they are using. 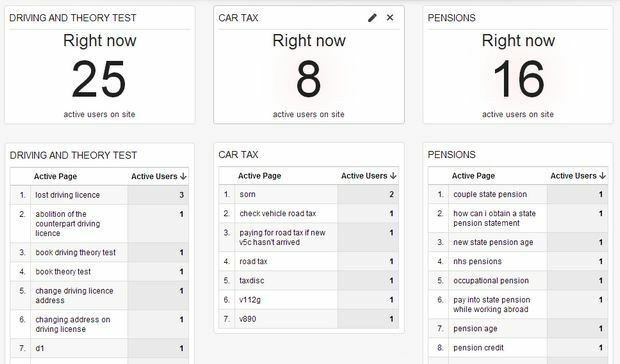 In the dashboard below I’ve also shown examples for car tax and pensions topics. The added advantage of this method is that these widgets can be created ‘on the fly’ for any topic, and dashboards can be shared with departmental stakeholders for them to view. We’ll be working more with these real-time internal search term dashboards in the near future and will share further experiences. In the meantime, we’ll be interested in knowing if you have any good use cases for them. Great post Ashraf. Jim and Peter tipped me off to this at measurecamp as a great way to raise awareness to data using "real" metrics, ie the words of real users. All works a treat now at NICE, with further exposure on plasma screens. As you mention plugging this into the api to get on the web will bring further exposure too. It would be great to put this data alongside the other real-time user data from an unfiltered view, but I think that's going to require using the API. Thanks for your comment. It's not currently possible to put this data alongside visits data in the interface but we hope to further experiment using the API to build more powerful dashboards. Great solutions, thanks to share. We implemented this on our beta site this morning, makes monitoring of local search easy. Thanks for sharing the workaround.